Some call this an eclectic style. When mixing classic style with current design trends it can be tricky to put it all together to ensure the overall design is cohesive. I decided to highlight a few ways that we like to mix current with classic in home designs. Tip 1: Put modern art into a classic ornate frame. Rather than choosing a simple clean lined frame, selecting an ornate frame can add visual interest while also giving it that traditional feel. This could also be done in reverse by adding a modern frame to a more classic art form. Either way, it is the perfect combination! 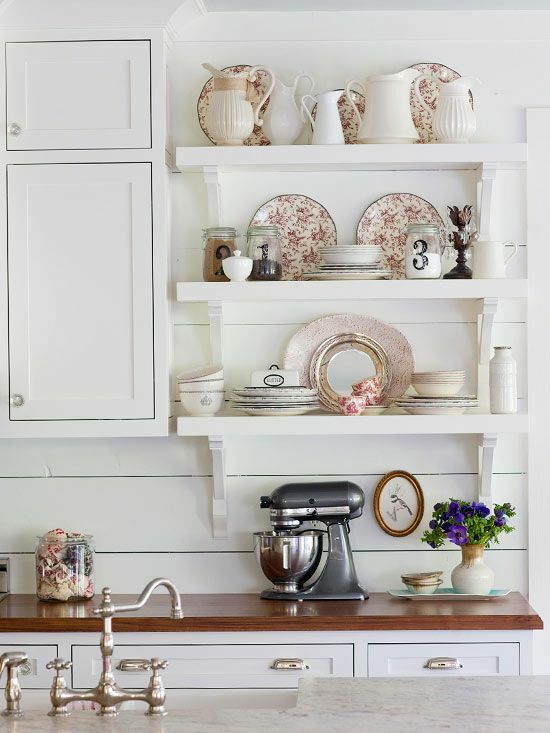 Tip 2: Use vintage dishes to style open cabinets or shelving. You can find dishes anywhere from your grandmother’s stock pile or your local thrift store! It can soften up the sometimes harsh lines of modern design and add that eclectic flair. Here is an example of how this looks! Tip 3: Incorporate antique or heirloom furniture pieces into a modern design. Examples of this would be adding modern lamps to an antique sofa table, or adding a modern tablescape to an antique coffee table. You can even refinish the furniture piece by painting or staining if you feel like it needs an update. Often home buyers feel tied to heirlooms pieces, but feel they don’t always match their modern style, and this is what we suggest to keep the sentimental value in your home without sacrificing the design. 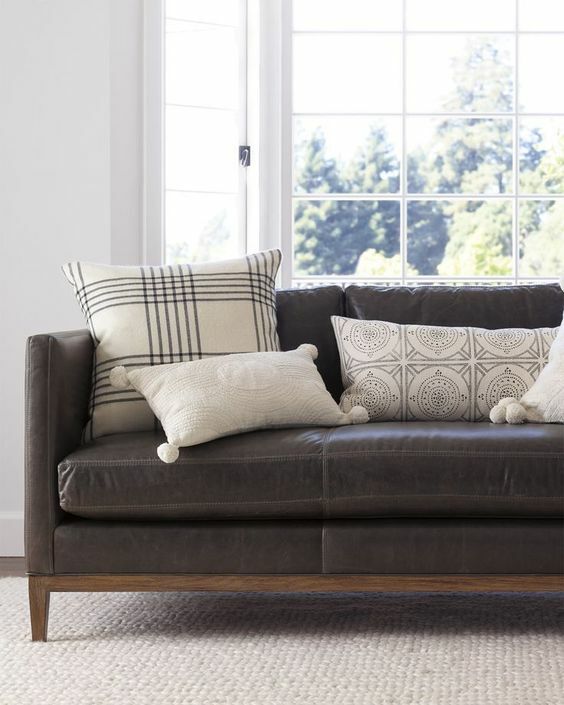 Tip 4: Styling a modern sofa with traditionally patterned pillows. Patterns like plaids, stripes and damasks have been around for centuries. Modern track arm sofas with mid-century style legs are definitely on trend right now. Throwing in a few pillows like the ones below make for a perfect marriage of current meets classic. 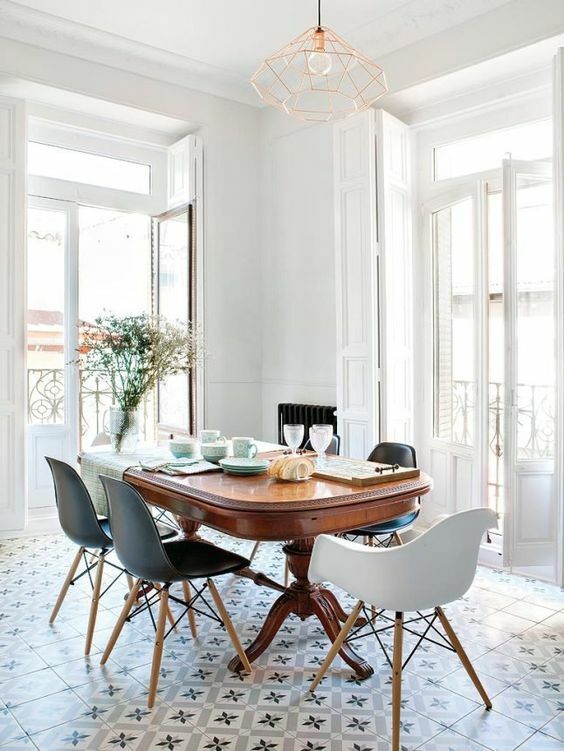 Tip 5: Pair an antique or heirloom dining table with modern chairs. Dining tables can be high ticket items when it comes to furnishing your home. Often times, mom has a family piece in the basement that is free for taking. Adding modern dining chairs to an older table can give it the perfect eclectic vibe. Want to keep up-to-date on our latest blogs and newsletters? Sign up below! Older Post6 Tips for Derby Decor + Mint Julep Recipe!